The typical paradigm within process simulation software is for only one person to have access to a given simulation at any one time. That paradigm is inherently limiting in that typically you need several different people to work on the same simulation, sometimes in different areas, as part of the engineering design lifecycle. This creates all sorts of time delays and potential issues in making sure that the final simulation incorporates feedback and changes from various departments. It is clear that industry requires simulation software to be more collaborative than it is now. Well, that paradigm is shifting right now. 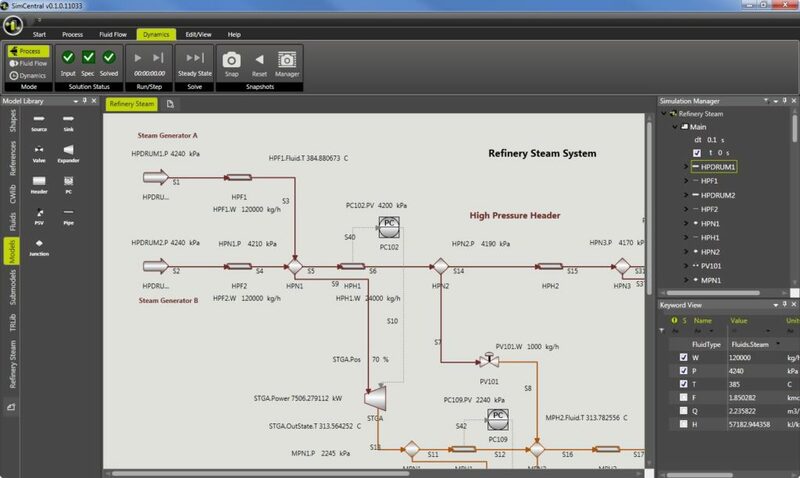 SimCentral from SimSci by Schneider Electric has collaboration capabilities built in. Multiple users can work on the same shared simulation simultaneously. So not only can people in the same office work on the same model, people spanning the globe can access and work on the same model at the same time or sequentially. SimCentral promotes collaboration with access to the same simulation on multiple applications and devices, and by multiple users. Overnight, your engineers in overseas add more units to the process and further tune the process. The next morning your engineer at the customer site in Philadelphia walks through the simulation with your customer and compares the results to plant data. While I am sure the simulation will need to be worked on further, by leveraging you entire global team you can have a preliminary model for your customer in less than 24 hours. Imagine how confident you will be going to that first customer meeting with the potential model. How likely are you to get the job after impressing the customer with a 24 hour turnaround time. Not only are you reacting to your customer quickly, but you are utilizing your workforce more efficiently. This will yield a lower cost of doing business. Engineering firms market their expertise, but in the end profitability comes down to completing the job as efficiently as possible. Just think how allowing simultaneous global access to the same model will allow you to efficiently leverage your global workforce. The future of process simulation software is here. You can now collaborate with your global team on your process simulation models. You can achieve this workflow today with SimSci SimCentral. Yes, we are very excited about the collaboration functionality. I think that process engineers will find it quite useful. I agree, the trend is definitely towards collaboration on a global basis.